OE Lotus Motorsport Bottom Gear Change Cable As Fitted To The Lotus 2-11. Upgrade for any Toy..
A Set of OE Lotus Motorsport Gear Change Cables As Fitted To The Lotus 2-11. Upgrade for any ..
OE Lotus Motorsport Top Gear Change Cable As Fitted To The Lotus 2-11. Upgrade for any Toyota..
OE Lotus Motorsport Bottom Gear Change Cable. 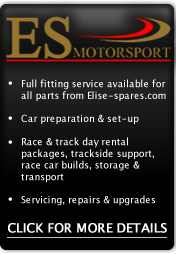 Upgrade for any Lotus Elise Cup R, 1ZR, 2ZR, 20..
A set OE Lotus Motorsport Gear Change Cables. Upgrade for any Lotus Elise Cup R, 1ZR, 2ZR, 20..
OE Lotus Motorsport Top Gear Change Cable. Upgrade for any Lotus Elise Cup R, 1ZR, 2ZR, 2011 ..